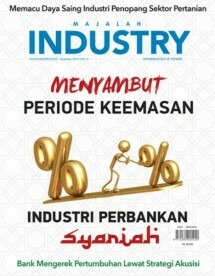 INDUSTRY.co.id - Jakarta - President Director of PT Bank Muamalat Indonesia Tbk Achmad K Permana said there are three potential investors from inside and outside the country who are interested to inject capital into the pioneer of sharia banks in Indonesia. Achmad just mentioned, two potential investors from overseas are consortiums originating from Singapore and the Middle East. Meanwhile, when asked domestic investors are state-owned banks, Achmad refused to confirm. "So there is from within the country as well. After 'conform', we will 'disclosed' who," said Achmad. Since last year, Bank Muamalat has indeed planned to conduct corporate action through Pre-emptive rights by strategic investors to increase capital. PT Minna Padi Investama is said to be ready to become a standby buyer of Bank Muamalat's 'rights issue' but canceled because it was unable to meet its obligations before the deadline determined according to the agreement. Based on the bank's financial report per quarter IV 2017, Muamalat's assets grew 10.59% (yoy) to Rp61.7 trillions, capital adequacy ratio (CAR) rose to 13.62% from the previous year by 12.74%. However, in terms of the ratio of non-performing financing (NPF) rose to 4.43 percent from last year amounted to 3.83 perse. Earnings also fell as much as 67.55 percent to Rp26.12 billion from Rp80.51 billion last year. Previously, the Financial Services Authority (OJK) also stated that Bank Muamalat did not experience any worsening liquidity issues but needed investors who could inject capital for business expansion. Chairman of the Board of Commissioners OJK Wimboh Santoso said the capital is needed Bank Muamalat because it is reasonable if the banking sector decided to grow and develop more optimally. Moreover, Bank Muamalat is a pioneer of sharia financial industry and listed as the first syariah bank in Indonesia. The need for capital is called as normal because Bank Muamalat must continue to grow to carry out the intermediation function in a sustainable manner. Chief Executive Officer of Banking OJK Heru Kristiyana added that currently the composition of capital of Bank Muamalat consists of Islamic Development Bank (IDB) of 32.74 percent, Boubyan Bank-Kuwait Group 30.45 percent, Sedco Group 24.23 percent and individual 12.58 percent. However, IDB decided not to increase the capital in Bank Muamalat because there are internal regulations that limit the ownership of capital is only 20 percent. Similarly, Boubyan Bank-Kuwait and Sedco Holdings decided to consolidate their shareholding in Bank Muamalat. "With this condition, the development of Bank Muamalat stagnant, because the expansion requires additional capital," said Heru. Therefore, Heru hopes that there will be a serious investor candidate to invest in Bank Muamalat for sharia finance industry in Indonesia to grow better.